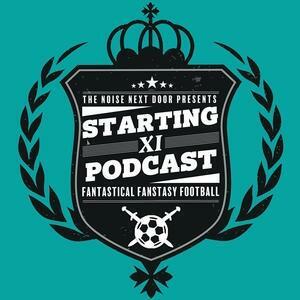 Starting XI is the Podcast that sees a panel of comedians debate and create the ideal starting line-up for a uniquely themed fantasy football team made up of fictional characters, celebrities or just about anything, as long as it's not ACTUAL footballers. Each episode is hosted by The Noise Next Door and features incredible guest stand-up comedians and experts working together on a specific theme to create the perfect team. It is these jumps in logic that will provide entertainment for any comedy fan, regardless of their football knowledge, as the panel dissect, debate and argue the merits of the potential players from the chosen topic. Hilarity will ensue as they discuss who the star players are, who might take penalties, and the justification behind their choices. The informed opinions of experts in their fields will combine with the out of the box notions of an array of the country’s finest comedians, making Starting XI an outrageous hour of nonsense reasoning.